Hebrew is a Semitic language which originated from the sacred language of Judaism and has been revived again in the hundred years. Hebrew has appeared in documents dating more than 3,000 years back, similar to Aramaic, to which it is strongly related. 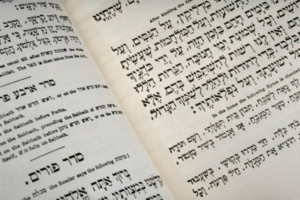 The original Hebrew Bible, the Torah, was written in Biblical Classical Hebrew. Jews have always called it the לשון הקודשLashon haKodesh (“The Holy Tongue”) as many of them believe that the Torah was chosen to convey God’s message to humanity. The earliest fully established stage of the language is Biblical Hebrew which dates to before 500 BC. 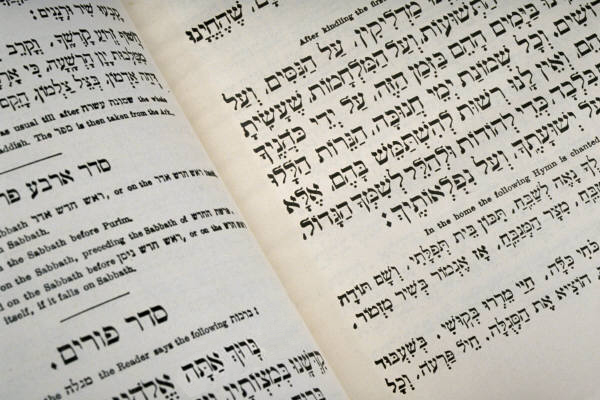 Post-Biblical Hebrew, variously termed Rabbinic or Mishnaic Hebrew, is characterised by an early recitation age when Hebrew was still probably to some degree a local language. At a later period, Aramaic became the everyday speech of Jews in the Middle East. The 6th and 7th centuries marked a shift towards Medieval Hebrew which devised detailed markings to indicate vowels, stress, and narration methods. That was additional to the original Hebrew texts which used only consonants, and later some consonants were used to indicate long vowels. ation and rejection of the diaspora lifestyle, Ben-Yehuda set out to develop a new language that the Jews could use for everyday communication. While many saw his work as fanciful, they also soon realized the need for a common language amongst the Jews of pre-state Israel, who, at the turn of the previous century, were arriving in large numbers from diverse countries with many different languages. Ben-Yehuda based Modern Hebrew on Biblical Hebrew and although he preferred Semitic roots, a Russian influence is for the most part noticeable in Hebrew. For example, the Russian suffix -acia is used in nouns where English has the suffix–ation, (ie. Integration/integracia). English influence is also very strong, perhaps due to the thirty years of British rule under the Mandate and the solid ties with the United States. Yiddish influence is also found, and Arabic, being the language of numerous Mizrahic and Sephardic Jewish immigrants from Arab countries as well as of the Palestinians and Israeli Arabs, has also had an important influence on Hebrew, especially in local slang. Sephardi Hebrew was influenced by the Ladino language while Mizrahi (Oriental) Hebrew is actually a collection of dialects spoken by Jews in various parts of the Arab and Islamic world. It was influenced by the Arabic language. Nearly every immigrant to Israel is encouraged to learn common Hebrew as their daily language. As a dialect, it was initially based on Sephardi Hebrew, but has been influenced further by Ashkenazi phonology to form a unique modern dialect. Vowels are optional and written as dots and dashes under the text. Different combinations of dots and dashes signify different types of vowels while emphases are written as a dot inside the letter. The Hebrew language has a variety of words arrangements that when put together form a great richness of meaning and expression. Like all other languages also Hebrew developed its unique from of slang, especially in the army. The Hebrew vocabulary is constantly expanding and today it is spoken by more than five million people in Israel and abroad.